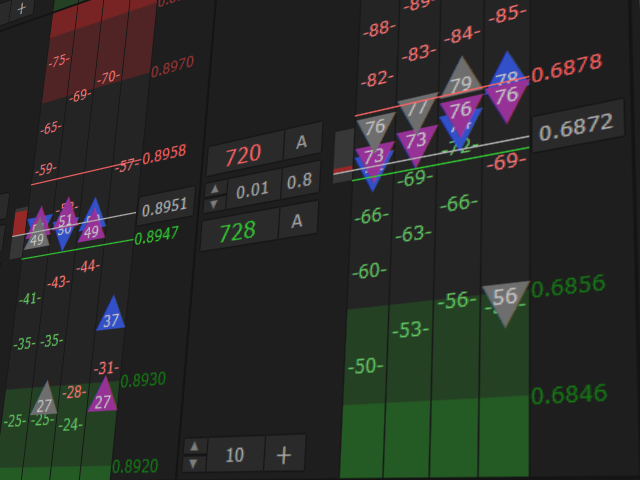 Take your trading to the next level with DFGX - our second generation Dynamic Fibonacci Grid. This new, powerful and easy to use application is specially designed and optimized for contrarian intraday trading, scalping and news trading on the Forex market. 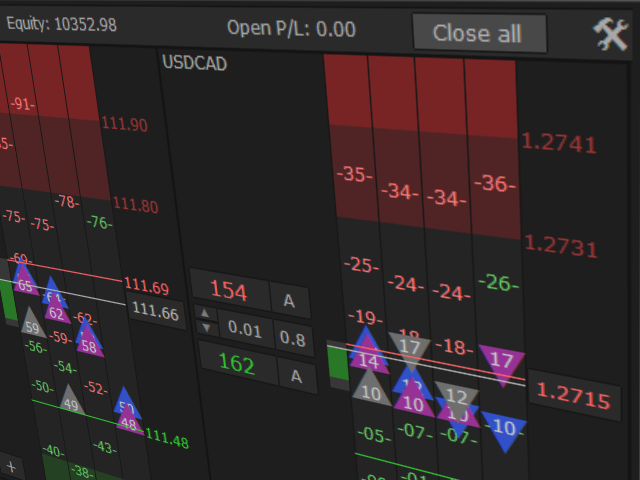 This system is the ideal solution for active professional traders and scalpers who are looking for innovative ways to optimize their strategy. The system also provides excellent opportunity for new traders who want to learn to trade in a systematic and consistent way like professionals. 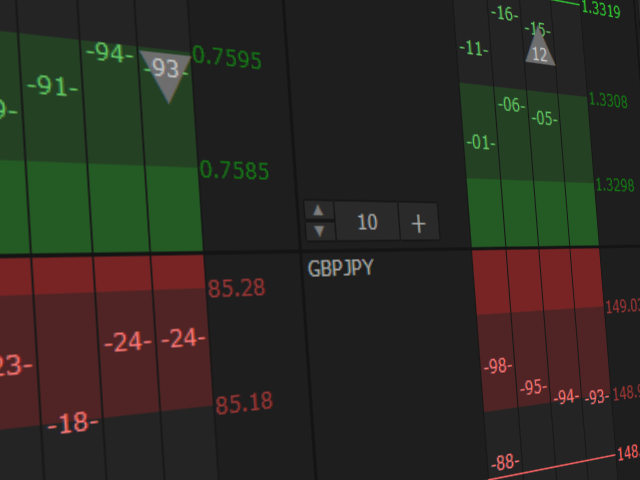 FX traders can use this application as a standalone system or as additional tool in combination with some existing strategies. Ability to work simultaneously with 10 pairs from one screen. Advanced technical analysis based on proven mathematical principles including Fibonacci bands and dynamic supply/demand zones. 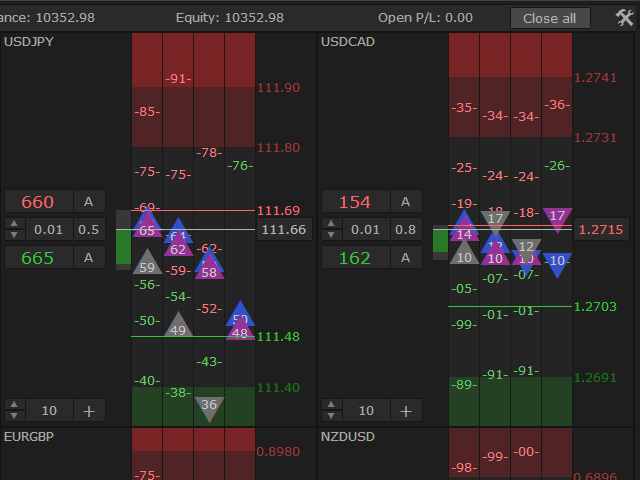 Simple and efficient interface for manual trading and easy position management. Wide range of automatic presets and risk controls. Ability for semi-automated trading. 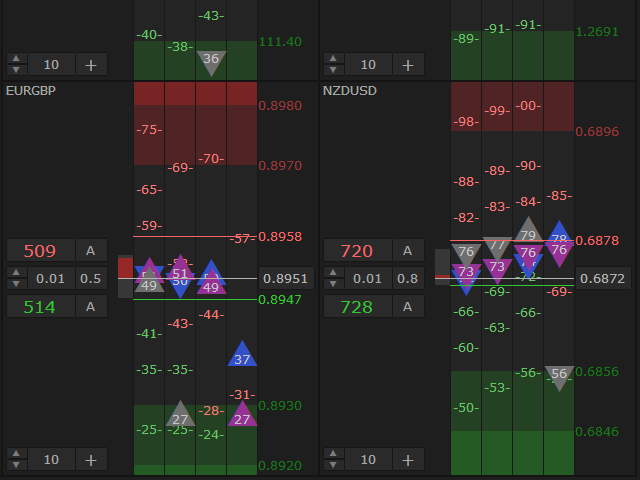 The trader can interact with the algorithm in real time via the interface. Ability for automated high frequency trading during news and periods of high volatility. The system is capable of executing over 20 trades per second. Simulator for manual trading in the tester. This option is ideal for fast learning as well as for experimenting with different strategies and automated presets. Test_Mode - prepare the system for work in the tester. 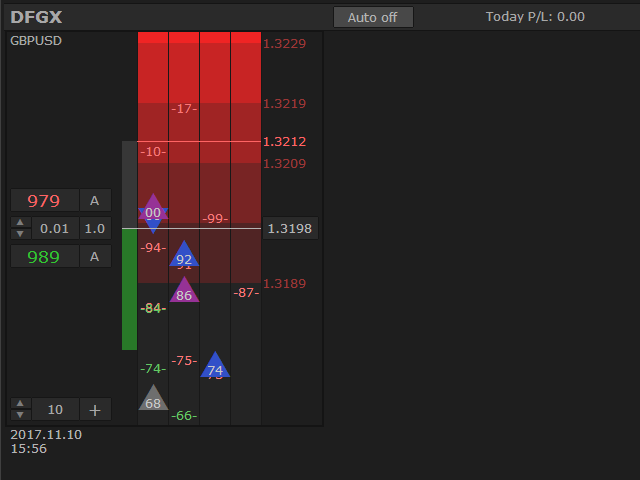 Use_ATR_Points - replace the standard FX pips with ATR points (1 ATR point = Daily ATR(20)/100). Font_Size_Multiplier - font size adjustment. System_Refresh_Rate - refresh rate in milliseconds. Select 5 symbols for the first row. Show_Row_2 - enable/disable the second row. Select 5 symbols for the second row. 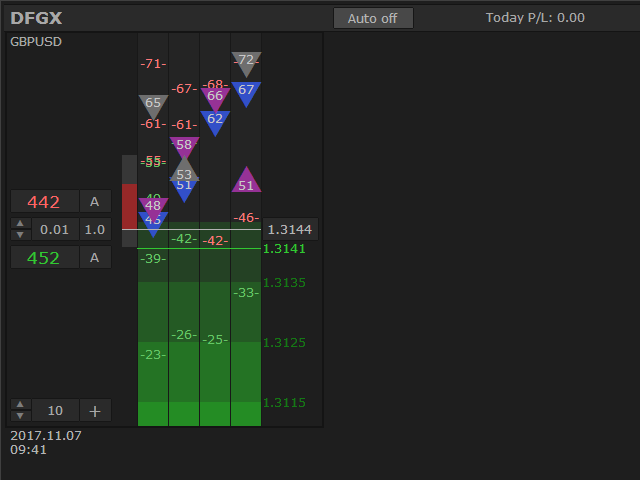 Grid_Price_Range - visible range in pips. Arrow_Type - larger or smaller arrows (for the larger arrows, you have to install the font "Wingdings 3" provided in the comments). Matrix_Time_Frame - M1 or M5. Number_of_Trades - number of trades per click. Cash_Stop_Loss - maximum position loss. Cash_Take_Profit - maximum position profit. Trailing_Stop_Type - manual step, manual standard or automatic standard. 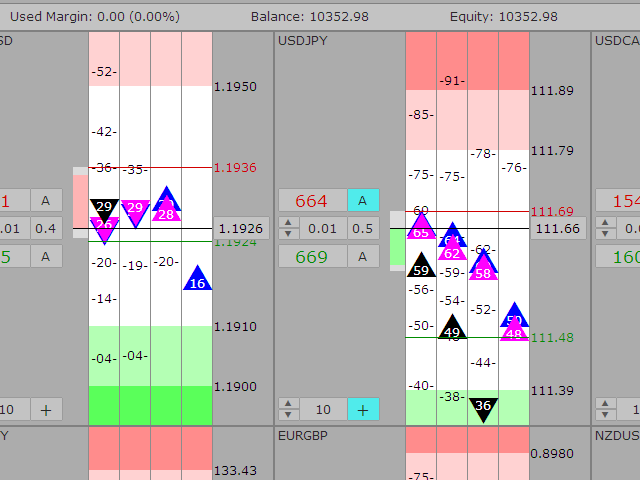 Add_Step - default trade step for the automated grid algorithm. 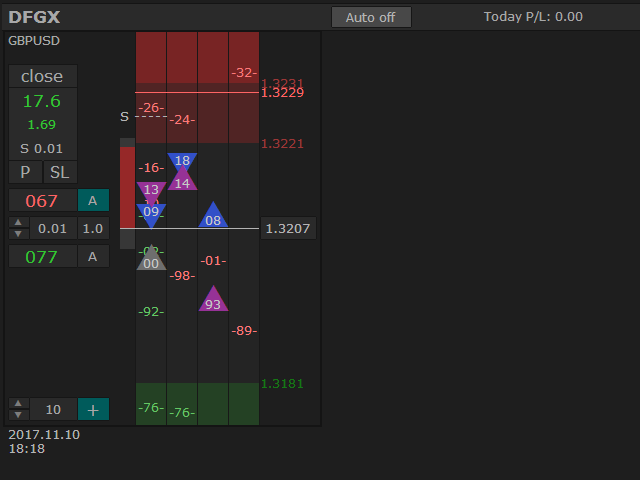 Auto_Stop_Loss - sl for trades executed automatically. 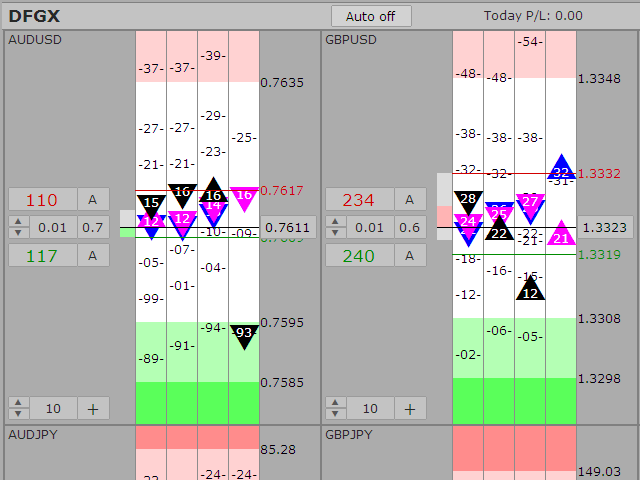 Auto_Take_Profit - tp for trades executed automatically. Max_Position - position limit in lots. 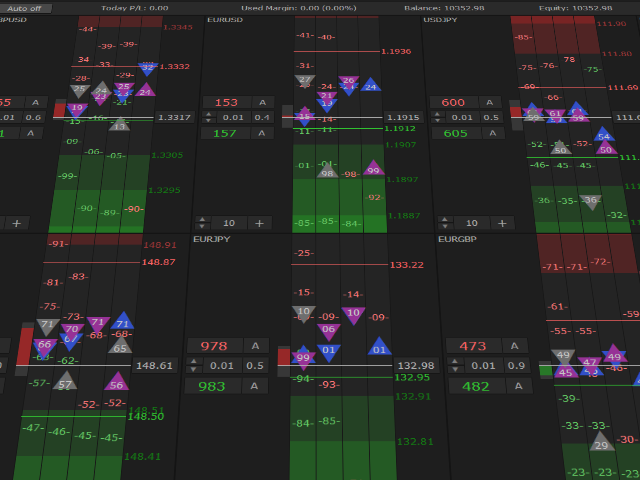 Auto_Trade_Zone - initial zone for automated trading. 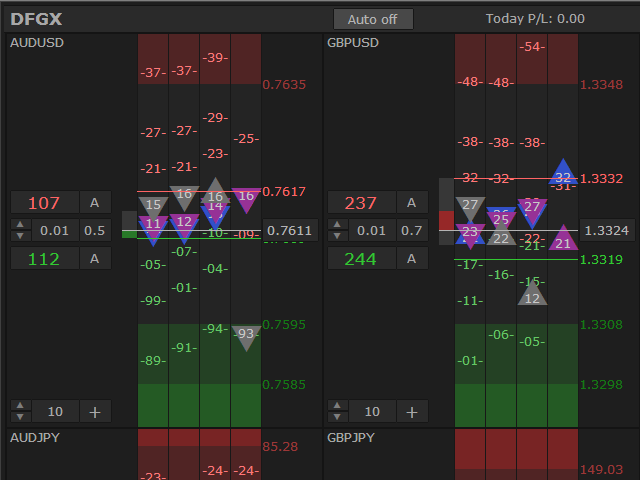 MA_Auto_Close - if true, the system closes the position when the current price is below/above the midpoint of the grid (Matrix_MA). Note! Due to technical limitations the demo works only with one symbol in the strategy tester. To experience the full capabilities of the app in real time, you can rent it for a month. If you have some questions, or if you need help, contact me via PM. I like it,good manual and auto trade.